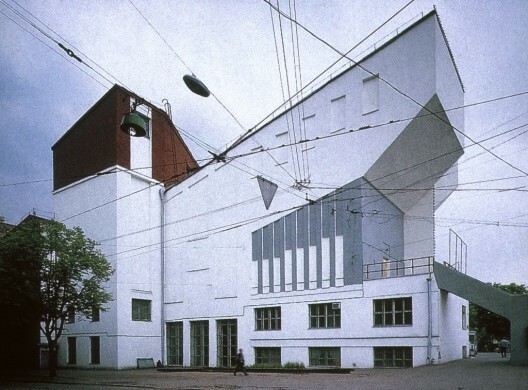 Ways of safeguarding and promoting the heritage of 1920s constructivist and avant-garde architecture in Moscow and Kyiv have been discussed at the kick-off meeting of the ‘Save Urban Heritage’ project, which is part of the EU-funded Cooperation in Urban Development and Dialogue programme CIUDAD. A CIUDAD press release said the meeting in Kyiv on 5-6 July brought together project partners to share experience, discuss operational issues and study the current state of avant-garde architecture in Kyiv. The Save Urban Heritage project aims to help Moscow and Kyiv develop strategic urban plans for architecture conservation and “provide for the exchange of models of good governance in the field of urban and architectural heritage, and develop territorial and cultural marketing plans for the promotion of urban heritage,” the press release said. The project will also help raise awareness of the initiative among local governments, international organisations, media, students, architects, businesses and local communities. It will create a database of avant-garde architecture in both Moscow and Kiev and build networked labs for research and education.